I was 25 and traveling through Ireland by myself. I was in Cong, a rural small town outside of Galway. It was quiet. Very quiet. Even though I had met people on my trip, I was starting to feel lonely. I was thousands of miles from home. I had nobody around who knew me well or cared for me, and in the days before cell phones or internet cafes, I couldn’t just get in touch with my friends or family at the drop of a hat. I went on a walk in a local park, along a wide stream that emptied into a small, pristine pond. The weather was grey and gloomy, the park was damp and romantic-looking, with its bending trees and dark water. On a whim, I sat down by the edge of the pond and began to do something I hadn’t done in probably 15 years: I started to build a fairy village out of sticks, pebbles, and leaves. As a child I had practically lived in the backyard, building intricate tiny villages, exploring the spaces in between plants and trees, making tree roots into cottages and lumps of mud into hillsides. It calmed me down and got me away from sometimes troubling thoughts. In Ireland, I found the same thing happened: My loneliness and anxiety vanished, and an hour or so later when I finished, I felt better: lighter, and less worried. When we lose ourselves in play, whether creating a make-believe world, throwing a ball between friends, frolicking with our dog, or watching silly YouTube videos, we allow ourselves to get out of the linear, problem-solution, adult mindset. We’re activating a part of our brains that we don’t use much in the grown-up world: the one that doesn’t care about deadlines or mortgages or how much we weigh, the one that doesn’t care how we look to others. In the land of play, we make connections we wouldn’t normally make. We see things in new ways. Play can boost our creativity, heighten our mood, make us laugh, and can engage us in the world in ways that regular “adult” life often doesn’t. For some reason, I’ve never grown up enough to stop playing. When I stop noticing the playfulness of the world around me, I know I’m in a bad mood or too stressed, and I often make myself stop and re-engage in the world in a playful way, even if just to watch a funny movie. 1. Spend time around young children. You can’t really engage with young kids without entering the world of play with them. Let them show you the way and leave your grownup mind behind! 2. Take a walk or day trip without any plans or route. 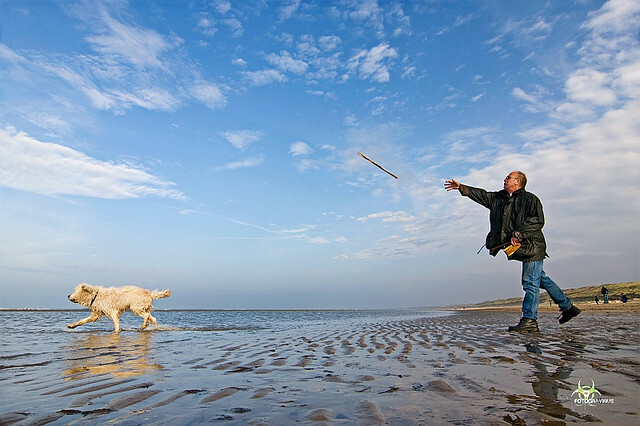 To make it extra playful, toss a coin to decide on the direction you’ll start out in. Then just go wherever you are drawn. Let your playfulness lead the way. 3. Do art without thought of success. Grab a random stack of magazines and make a collage, without worrying about whether it’s “good.” Finger-paint. If you do art or writing, do a piece in the style of an artist or writer that’s completely different from your normal style. Have fun. Don’t worry. 4. Get a couple of different magnetic poetry kits and combine them. Keep them where you spend a lot of your hours and play with them whenever you get bored or creatively blocked. Get some kids games, art supplies, even pieces of costumes, and just hang out and have fun. Make the goal to be to laugh as much as possible. 6. Play with young, active dogs. They love to run and jump! If you don’t own one, borrow one from a friend, volunteer to walk the dogs at an animal shelter, or go hang out at a local dog park. Even just watching dogs play can be fun! 7. Keep kids toys at your desk. Having them around will automatically lighten things up, but playing with them when you’re bored or in a bad mood will help even more. 8. Before you start on your commute to work every day, think of something you’ll look for on your drive. Maybe they’ll be blue pickup trucks, American flags, or houses with red roofs. Count the number you see by the time you get to work. 9. You know those silly cat YouTube videos you ignore when people send them to you? Watch them. Do it alone, do it with friends, do it with strangers, but just dance. Any style, any place. You can’t dance while also being stressed and worried! How do you make life more playful? Melissa Kirk is an editor, writer, and blogger living in the SF bay area and attempting to go with the flow and roll with the punches as much as possible. She writes for Psychology Today and also has a personal blog.